Gabapentin is a medication that is prescribed to patients for the managements of several medical conditions. This medication should be taken according to the prescription of the physician because it can cause overdose symptoms [1, 2]. 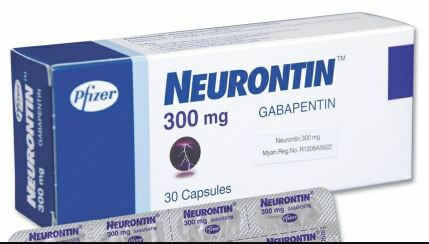 The medication gabapentin is an anticonvulsant used in the management of nerve pain caused by shingles and used with other medications to reduce the occurrence of seizures. Shingle is a rash that is caused by the varicella-zoster virus [1, 2, 3]. Other indications of gabapentin include treatment for alcohol withdrawal, schizoaffective disorder, bipolar disorder and posttraumatic stress disorder. It can also reduce the behavioral disturbances that may occur in essential tremor, restless leg syndrome and brachioradialis pruritis . The exact mechanism on which gabapentin acts as a pain or anticonvulsant medication is still unknown. As a pain medication, there is current evidence that shows gabapentin to have the same effect on the opioid receptors in the body. This drug may be related to the neurotransmitter gamma-aminobutyric acid (GABA) but there are no evidence that it affects the concentrations of intraneuronal GABA level or exert any effect similar to GABA . Gabapentin is only available in oral preparations and is absorbed in the small intestine through the combined action of facilitated transport and diffusion. It is not metabolized by the body and it is excreted unchanged in the urine. Impairment in renal function can affect the clearance of gabapentin and cause an accumulation in the system . Some of the side effects that may be experienced while taking gabapentin may include: drowsiness, dizziness, amnesia or temporary loss of memory, problems with coordination, unusual movements of the eye, difficulty with speaking, fever, tremors, and lack of coordination [1, 2, 3, 4]. Before taking gabapentin, the patient must inform the physician of any renal or hepatic impairment. A history of mood disorder, depression or drug abuse must also be reported to the physician. The safety of gabapentin in pregnancy has not been established yet but any plans to be pregnant should be mentioned to the doctor as well. For breastfeeding mothers, gabapentin may be passed to the infant through the breastmilk so precautions may have to be observed [1, 2, 3, 4]. The lethal dose of gabapentin have not been established in the laboratory but ingesting up to 49 grams of gabapentin may produce toxicity symptoms. Because the drug is primarily excreted through the kidneys, patients who have renal impairment must be closely monitored due to their increased risk of an overdose in gabapentin [2, 3, 4]. When a patient arrives in the hospital for an overdose in gabapentin, the initial priority is to stabilize the patient. Measures to maintain the airway, breathing, and circulation of the patient will be performed first. Oxygen support may be provided but an emergency intubation may be done if the patient has an alteration in consciousness and unable to maintain the breathing. An intravenous line will be established for the administration of fluids and other medications that may be required [1, 2, 3, 4, 5, 6]. Once the patient is stable, the next focus is to decrease the amount of gabapentin present in the system. If the ingestion has occurred in less than an hour prior, a gastric lavage may be done to remove the gabapentin pills that are still in the stomach. The physician may order a blood test to identify the amount of gabapentin in the system. Hemodialysis is considered to be the best way to remove gabapentin from the system. The patient may have to undergo several sessions in order to return the gabapentin to its therapeutic level. Other medications may be given depending on the symptoms the patient has manifested. Referrals to other specialties may be necessary for the management of overdose symptoms [1, 2, 3, 4, 5, 6]. Medication bottles should be kept and labeled properly to avoid accidental ingestion, especially by children. Gabapentin Overdose should be taken according to the order of the physician and avoid taking more than the required amount. Any symptoms should be reported immediately in order to be addressed and not lead to complications [1, 2, 3, 4, 5, 6].